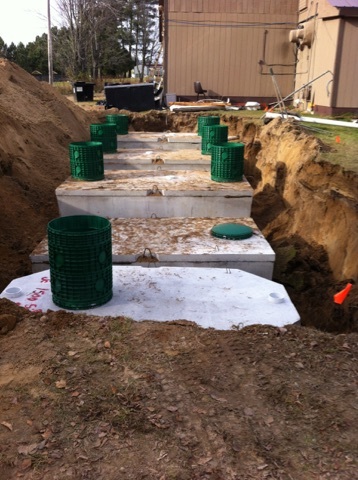 JACOBSON PRECAST CONCRETE, LLC of Aitkin, MN has been in the septic business for over 40 years! Our decades of experience have made JPC a leading manufacturer and provider of precast concrete septic and sewer tanks in Minnesota! The integrity and knowledge of the principles of the company assure our customers the highest quality product at a competitive price. Regarded as one of the top service companies for many years, we serve residential, commercial and industrial customers with premium concrete products and unparalleled service. You can rest assured knowing that we are registered, certified and insured to offer MPCA Approved and Certified Tanks, with tank design engineered by Hawkinson Engineering. As a locally owned septic and sewer tank manufacturer, we take pride in our work. That’s why, on top of five-star service and quality, we offer competitive guarantees for your peace of mind. We’ll partner with you to create superior quality concrete products for your needs and budget. Call us today.